A couple of weeks ago Street View drivers got an update fixing controversial Wi-Fi issues. With the new update, Street View will no longer collect Wi-Fi payload data and won’t have WLAN scanning turned on all the time. Even though the update isn’t a major change, it is worth mentioning because this bug has been around for quite a while. Additionally, it has caused quite the up-stir among privacy-minded individuals and organizations. On the same topic, Google is also starting to add more countries to Street View. As a result, there will be more photos to help you navigate while driving by TeleAtlas and NavTeq. Along with the pictures, 3D imagery has a planned update as well. 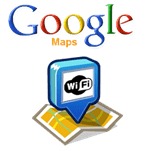 Overall, Google is going to try to keep Maps clean and polished, in the hope that the number of people who use it will increase.